Got a horse that needs shoeing? We've got the Cast Iron Horseshoes you need! Even if you aren't fortunate enough to own a horse, we know that you may want to use Horseshoes as decorative items. Cast Iron Horseshoes are used as decorative elements everywhere. 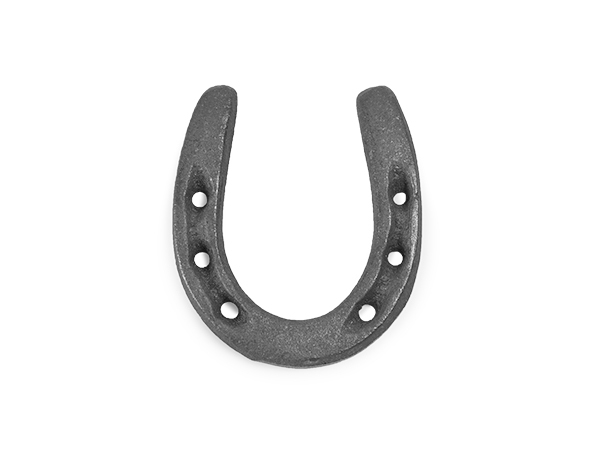 Whether you are decorating Horse stalls or corporate boardrooms, we have the Horseshoes for you! People also keep Horseshoes for good luck. We are happy to provide one for you just for that as well.